Hey Everyone! 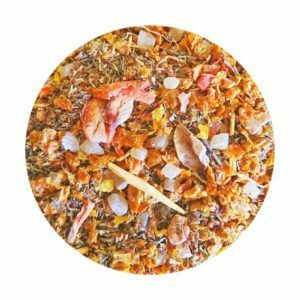 I’m Kimberley, I’m the tea obsessed blogger behind ‘Tea Is A Wish Your Heart Makes’ and today I am excited to bring to you the African Sunset Rooibos Review. 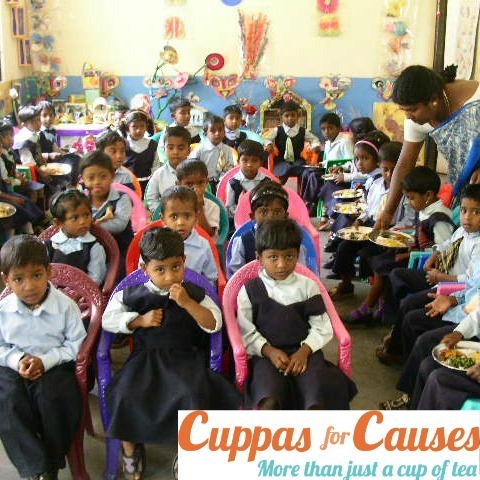 A little about my blog first of all… ‘Tea Is A Wish Your Heart Makes’ started in 2015. 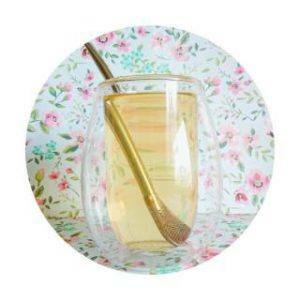 I started my blog because I wanted a creative outlet that I could use to channel my love for tea. 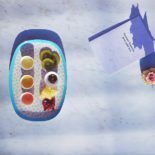 I also knew I wasn’t alone in my love of tea and I thought that starting a blog all about it would be a great way to get to connect with fellow tea lovers. Moreover, to further develop my knowledge of everything the tea world has to offer. It’s safe to say that it helped me to do everything I set out to do when I first started. I’ve been blogging for a while now but I don’t think I will ever get tired of being able to write about one of my biggest passions. I currently post every Monday, Tuesday & Saturday and I do my best to try and cover everything that the tea world has to offer. Most of the posts I write are tea & tea-ware reviews but I also do blending experiment posts, tea recipe posts and lots more. 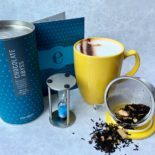 eteaket approached me and asked me if I wanted to do a guest post for their blog (before they had even told me it was going to be a tea review), I said yes. 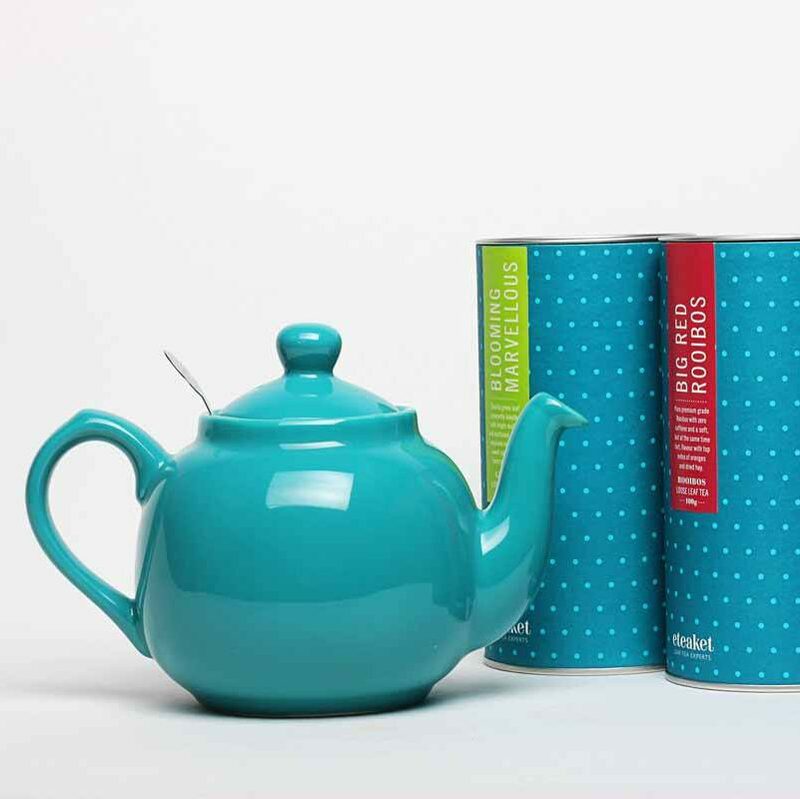 Ever since our very first collaboration for my blog, eteaket have been one of my favourite tea companies. 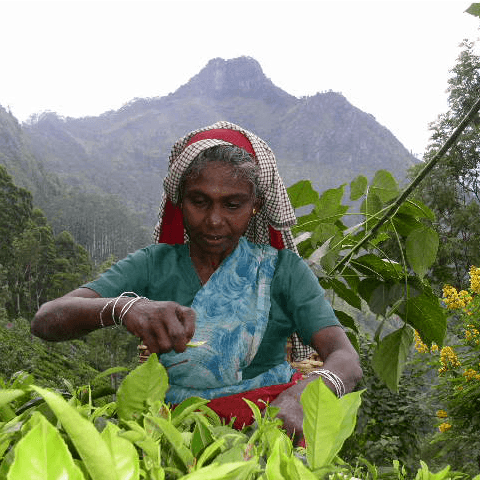 Their teas are always of such a phenomenal quality. 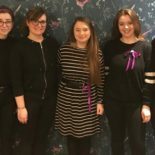 To have the chance to write a guest post for them was an opportunity I wouldn’t turn down. 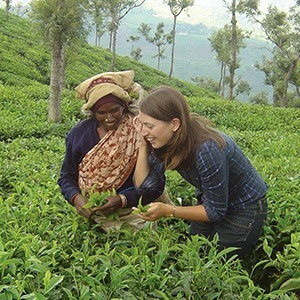 The tea they have asked me to review for this guest post is their African Sunset Rooibos. 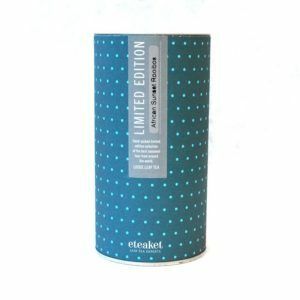 It is their first limited edition blend of 2019! The blend is a green rooibos with pineapple and guava (and it’s fantastic). 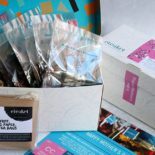 eteaket very kindly sent me one of their 100g caddies for this review. It arrived at the start of February and I’ve made it through half of that caddie already. It is just that good – I can’t stop drinking it! Isn’t this blend absolutely beautiful? I was pleasantly surprised when I opened the caddie and saw the huge pieces of fruit. With the amazing sunset-coloured pallet, I definitely understand the choice of name. It describes it perfectly not only in taste but in appearance too! The aroma of the dry leaves is fruity and sweet. Stand out notes include the pineapple bits, the seabuckthorn and the guava. I was really surprised to see that this doesn’t have orange in it because it smells just like fresh orange juice. Green rooibos and I are new best friends. Especially this one. It’s very fruity and sweet with sizeable chunks of dried fruit. I can definitely taste the pineapple and the guava the most. The pineapple is slightly candied but I’m good with that. It adds to the illusion of sweetness even without sugar. I have an insane sweet tooth so I’m never opposed to candied fruits in blends like this one. Any tisane that leaves me feeling like I just ate some delicious candy is good with me! Although I’m not a regular green Rooibos drinker, I could definitely pick out what was special about this blend within my first three sips. 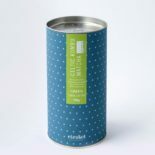 It adds a smooth, sweet and somewhat nutty note to each mouthful which gets stronger as the tea cools. While this blend is delicious hot, it makes for a perfect iced tea and that’s how I’ll be having it from now on. I don’t know why but it seems to get even more fruity when you cool it. The Rooibos takes a backseat a little bit but it’s much more refreshing – the perfect tisane for summer. I think it would even make for great tisane ice pops! Spring has arrived and so has cold brew! I discovered that I enjoyed this more iced than I do hot. So, I decided to experiment with it a little bit and see what teas I had in my cupboard that would pair well with it. After trying a few I found that it works really well with milk oolong. It makes the ever so slight creamy note of the green Rooibos so much stronger and calms down the overall sweetness a little bit. I suggest trying this combo out as it will probably balance out this tea for you if you don’t have a sweet tooth like I do. This tisane has helped change my opinion of Rooibos. I’m so thankful that I was given the chance to try it! After finding out that I wasn’t a huge fan of red Rooibos, eteaket chose to send me this blend to see if green Rooibos was more my thing. It is much lighter and sweeter when compared to red Rooibos and has change my outlook. It’s safe to say I’ll be looking for so many more green Rooibos blends to try in the future. Out of all the tisanes I’ve tried from eteaket, I think this is by far my favourite. When I finish the caddie I was sent, I’ll be ordering so much more! 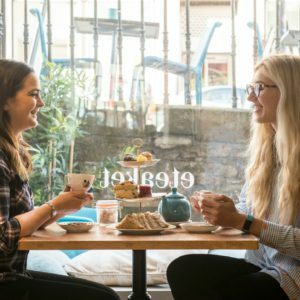 Thank you so much to the team at eteaket for asking me to write this post for this blog and for introducing my blog to a brand new brew-tea-ful audience. If you’re enjoyed reading this post and you want to see more of my content, you can find my blog at www.teaisawishblog.com. If you just want to talk tea with me, I’m at @teaisawishblog and I am on all forms of social media. This entry was posted in Concept Store General Health & Lifestyle Recipes Tea Tea Education & Innovation Tea Room Tea Travels and tagged African, black tea, blog, cold brew, cold brew bottle, cold brew tea, Concept Store, edinburgh, eteaket, eteaket moment, fruit infusions, Green, green tea, Guest, health, health benefits, herbal infusions, innovation, loose leaf, review, rooibos, sea buckthorn, Sunset, Tea Store, Tea tastings, whole leaf tea. Bookmark the permalink.